David Zappitello created a passion project for his small business. He started Angels Naturally to aid in the healing process of those who suffered the loss of a loved one. He specializes in making wood carvings for people so they can remember a parent, child, sibling or relative with something tangible. 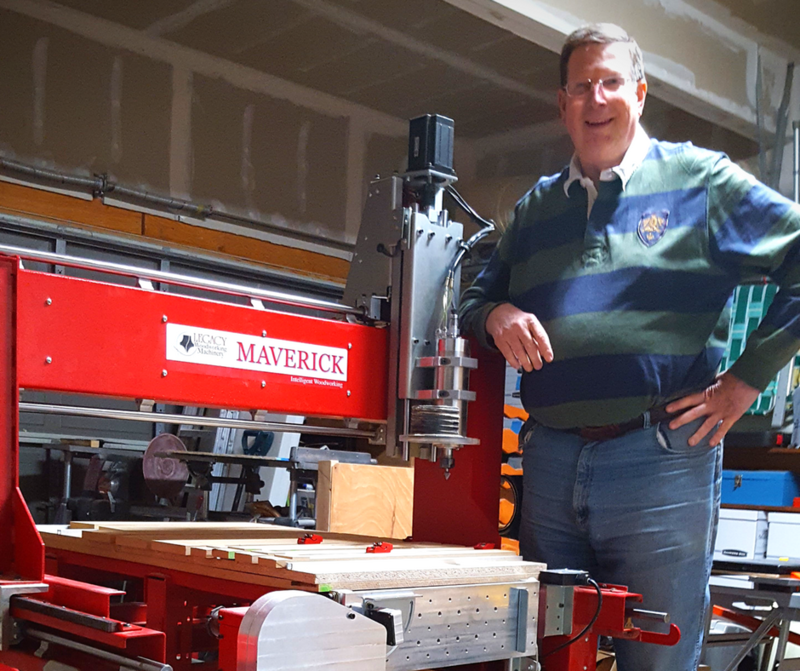 David purchased his CNC router in May 2017 and hasn’t stopped using it since. David is disabled and has mobility issues. The router helps him get projects done more quickly. “I recently changed the focus of my business to be more retail-based. Retirement doesn’t suit me well and I want to be productive while impacting people’s lives,” he said. When David needed financing help to purchase the router, he discovered Stearns Bank through a referral. He began working with account manager Missy Vos and discovered how easy financing equipment with a lender can be. Stearns Bank exceeded David’s expectations thanks to Missy’s help. He felt that the terms of his financing were customized to suit his needs. David has no reservations telling his woodworking colleagues about Stearns Bank. He belongs to a CNC router user group in Colorado and has already referred friends to work with Stearns Bank.